The rumors are true. 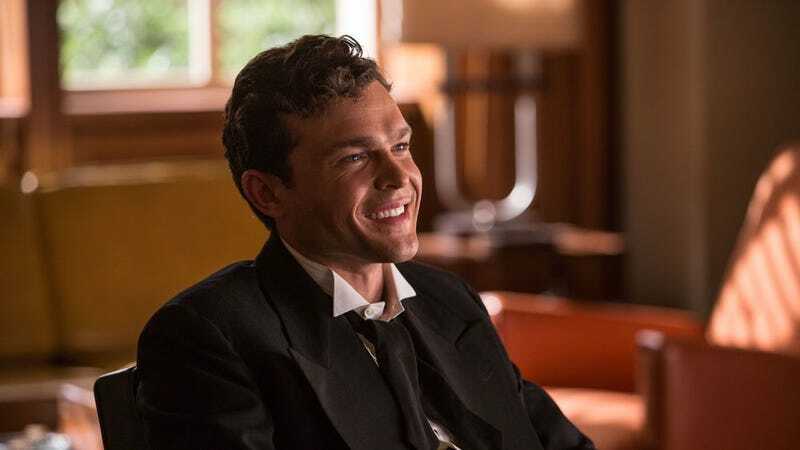 Alden Ehrenreich, who made a name for himself earlier this year in the Coen Brothers’ Hail Caesar, has been cast as the young Han Solo in the 2018 Star Wars story directed by Phil Lord and Chris Miller. Multiple outlets such as Deadline and The Hollywood Reporter are corroborating the news though there has yet to be an official announcement from Lucasfilm. That should be coming soon though. Ehrenreich, 26, has been acting since 2009. He started with roles in two small, Francis Ford Coppola movies, worked with Woody Allen on Blue Jasmine and then did Park Chan-wook’s Stoker. However it was his turn as cowboy movie star Hobie Doyle in Hail Caesar that really turned heads. He won the Solo role over thousands of other actors. such as Jack Reynor and Taron Egerton. Lord and Miller (The Lego Movie, 21 Jump Street) are helming the currently untitled movie from a script by Lawrence and Jon Kasdan. We know little about the specifics of the movie except it’ll take place before A New Hope and feature Solo’s early meetings with Chewbacca. The Han Solo Star Wars Story is currently scheduled for May 25, 2018. Miller recently tweeted the following.